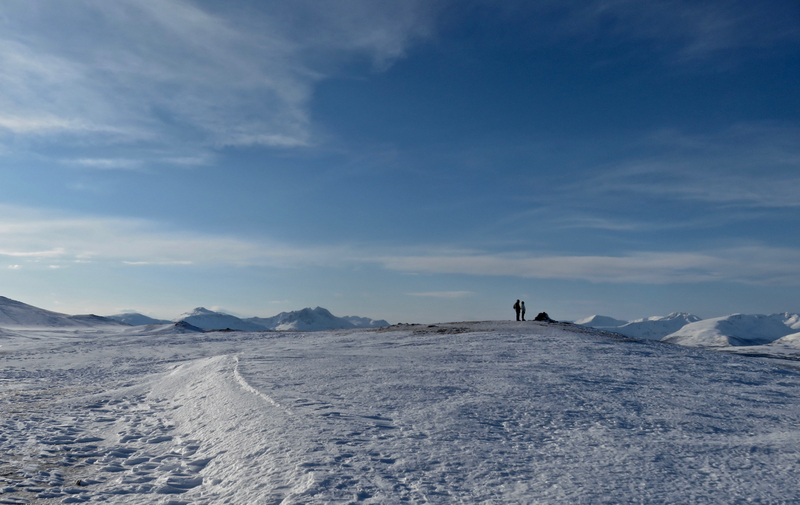 Storsteinen is the name of a 421-meter (1381 feet) summit not far outside Tromsø city centre and reachable by the Fjellheisen cable car. As far as my primitive Norwegian can establish, its name just means The Big Rock. Certainly a fine place for an excursion to pass the time on my last full day here on this particular trip — though I’m due back in about seven weeks. Even including the picture taken on the summit of Kilimanjaro, and the ones in Moscow in January 2017, I nominate this the coldest of all the 2,386 pictures thus far. According to information on the Fjellheisen web site, it was -13ºC up there today. And I can assure you all that it felt like it.